As you read that stat, you’re probably saying to yourself "wow, that’s impressive. We really need to have a better Facebook strategy for our own organization." And while it maybe true that your organization needs a better Facebook strategy, it’s also important that you dig a little deeper into social media stats. For example, Facebook shares different types of statistics on their own site that I think are more useful when thinking about the role of social media. Facebook has 150M U.S. "active" users, which is 48% of the U.S. population, yet only 50% of active users login any given day. So 24% of the U.S. population logs into Facebook on any given day to check or post updates. As more marketers release their own social media studies and statistics, the more pressure organizations face to build and/or refine their own social media engagement. As you continue to plan and evaluate social media’s role in your organization, arm yourself with the right knowledge and memorize these five social media myths. 1. A Facebook page can replace your website. THAT IS THE WORST IDEA EVER, said Maggie McGarym, the Online Communications and Social Media Manager for the American Speech-Language-Hearing Association. “Lets be perfectly clear: while Facebook can certainly be useful as an outpost to your company’s website, it could not and should not ever replace it. Thinking Facebook could take the place of a company’s website is like saying your car is so great soon you can just live in it and get rid of your house,” said McGary. Why is replacing your website with a Facebook page a bad idea? Organizations have little control over how things are displayed in their Facebook page and what shows up on people’s feeds. Check out McGary’s full post here. 2. Social Media is a great fundraising tool. Just look at the success of Obama’s last Presidential Campaign. While some organizations like Charity:Water have raised money through social networks, the majority haven’t raised very much. Only 2.4% of nonprofits were able to raise over $10K on Facebook in 2010, according to Frank Barry of Blackbaud. 2% of nonprofits raised between $1K and $10K on Twitter. Your organization is not the Obama campaign. And you are not running for the President of the United States. Plus, senior campaign staff admits that social networks did not produce great fundraising results during the campaign. "The real drivers were old school. They were email. And they were the web,” said David Plouffe, Chief Campaign Manager. Everyone is building an app. Your organization should too. NOT! 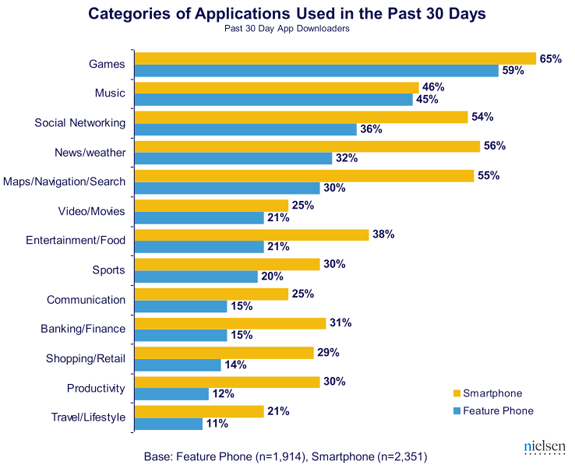 Consider what the "All-Time Top 20 Iphone Apps" are: IFart, Facebook, IBeer, Google Earth, Super Monkey Ball, The Weather Channel, etc. Mobile is on the rise and nonprofits should be investing time in making their websites mobile friendly, optimizing their email and fundraising appeals for mobile email, and testing whether your members are open to texting as part of your multi-channel campaign. But for many nonprofits, developing expensive apps could be a waste of time and a poor return on investment. Take a step back and assess whether that investment is really being driven by the magnetism that mobile apps have as shiny objects or if your app will truly be able to provide value to your target audiences like the successful Monterey Bay Aquarium’s Seafood Watch app. 4. Social Media is a free way to build your brand and list. The organizations that have built up a presence on social networks and do a great job of engaging people (National Wildlife Federation, Humane Society of the United States) have made a significant staff investment. And as you know staff is not free and time is money. 5. Social Media should be its own department. No organization should be working in silos, yet many do. The fundraising department is on one side. Advocacy is on the other side. They often compete instead of collaborating and integrating campaigns. Toss social media into the mix and organizations struggle with where this fits into the organization. Social media should be integrated into your organizations fundraising, advocacy, and communications, etc. It should not be siloed in its own little department. What social media myths do you think organizations need to be aware of?